Volunteer Judges and Referees are essential to the LEGO League Tournament. We rely on adults in our community from all different professional fields to score Robot Matches, watch team presentations, ask questions, and decide on and present awards. Judges and Referees get a front-row seat to see the fantastic work in robotics and innovation done by young people and have the excellent task of recognizing and rewarding their efforts! Registration for these volunteer positions is through the FIRST Volunteer Portal. Follow this link to create a profile or log in. Use this helpful Step-by-step guide for VIMS online volunteer registration to assist in registration for the Wolfpack-Badgerland Madison Regional Tournament and Junior Expo. 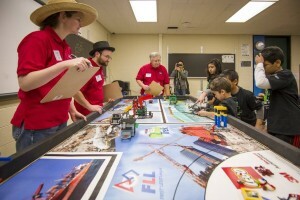 Core Values Judge: Core Values are central to FLL’s mission and underlie all elements of the program. Core Values judges will assess how well a team understands and integrates these values into their tournament experience and daily life. Research Project Judge: Project judging in FLL can be compared to research presentations given at a scientific conference, except FLL presentations are typically a whole lot more fun! Teams present a challenge-related problem they have researched and analyzed. They also present their innovative solution to that problem and tell us about how and with whom they shared their research. These steps parallel the scientific research process in the “real world”. All of this information is communicated in a creative 5-minute presentation. Robot Design Judge: Robot design is subjectively judged bases upon the mechanical design and programming of each team’s robot built for the robot game portion of the competition. 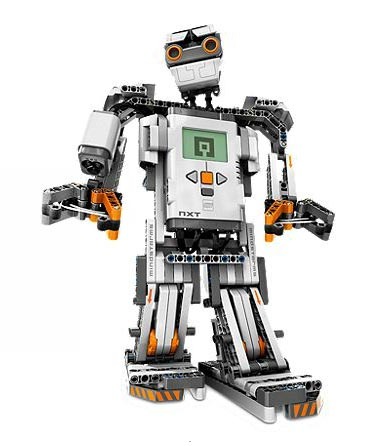 You will be surprised by some of the creative solutions FLL teams will come up with! Robot Competition Referee: Observe team robot game matches, identify rule violations, assess field for scoring matches, and participate in deliberations regarding contested calls and official scores. 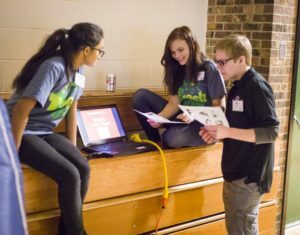 Junior FIRST LEGO League Expo Reviewer: Reviewers visit teams in the main Expo display area and meet with teams in a separate area for a review session. There they ask team members about their research, their model, and their Show Me poster. Reviewers provide positive feedback and write down notes to help with awards later. Many of our tournament volunteer positions are as easy as Sign Up, Show Up, and Help Out! Volunteers as young as 13 are able to sign up to help with the tournament.